Come hear the North Door Jam Group and experience a lively variety of music with a variety of string instruments. 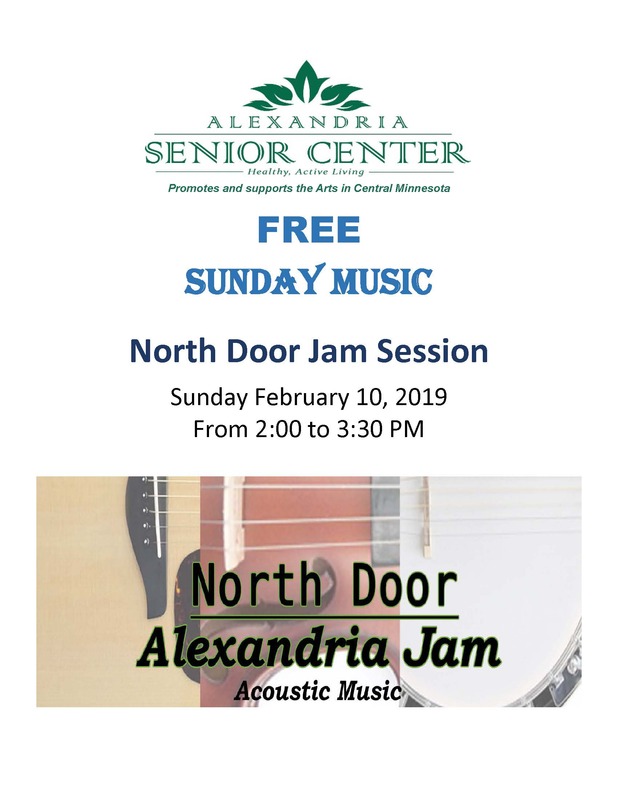 Free Sunday Music is brought to you by the Center. A free will offering will be accepted to help defray the entertainer’s expenses. No one is refused without this offering.